The Goede Doelen Loterijen’s new home is standing strong! 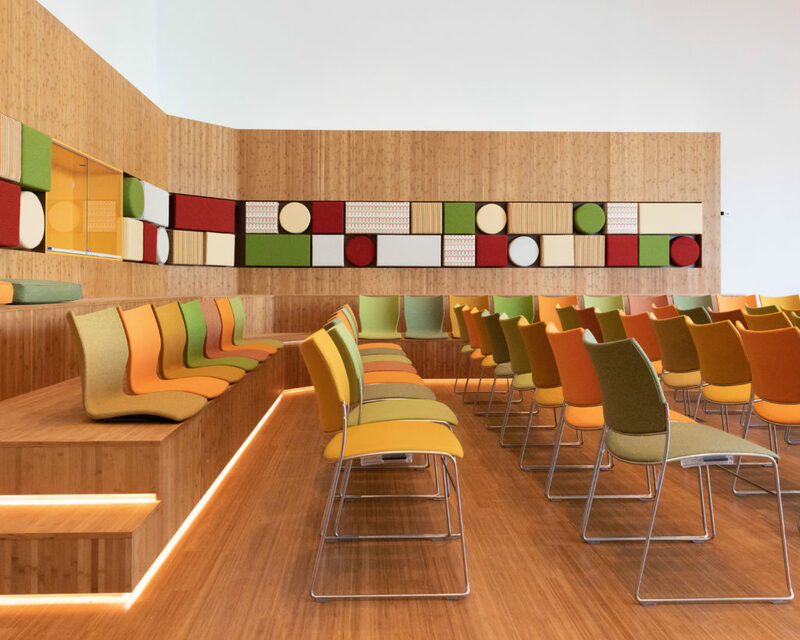 For this unique project we collaborated closely with the client and employees of the Goede Doelen Loterijen, their interior designer Yolanda Loudon, Benthem Crouwel Architects and the neighbourhood community of the Zuidas. We think we succeed in our work, if the people who use the building are feeling at home. Especially for this project for the Goede Doelen Loterijen, D/DOCK focused on the human and homey-feeling. 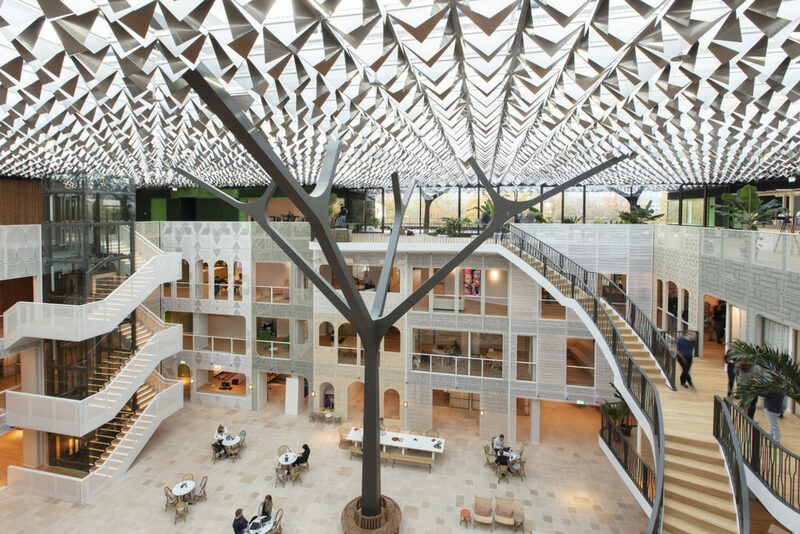 During the past two years, this neglected, long-term vacant building in Amsterdam has been transformed into the most sustainably renovated office building in the Netherlands according to the highest standards and techniques of sustainable construction (BREEAM 2014). 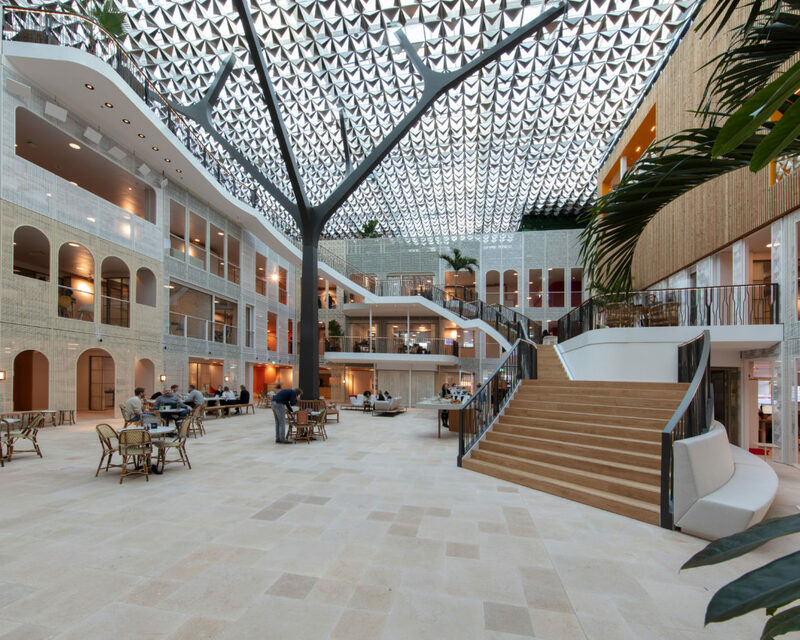 It was the wish of Boudewijn Poelmann, chairman of the board of the Goede Doelen Loterijen (Nationale Postcode Loterij, VriendenLoterij, BankGiro Loterij), that the new sustainable building would feel like a house where employees, charities and local residents would feel welcome. The important starting point is that the house makes what the Goede Doelen Loterijen stands for visible, even tangible: helping to create a better world for people and the environment. 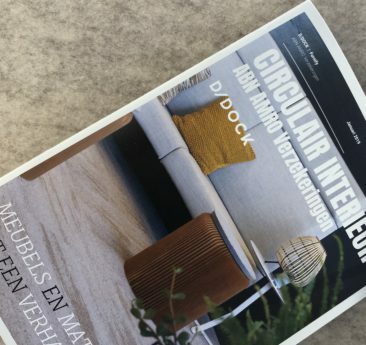 By means of a unique co-creation with all involved parties and future users, D/DOCK was able to create a design – supported by everyone – with as much existing and recycled furniture as possible. 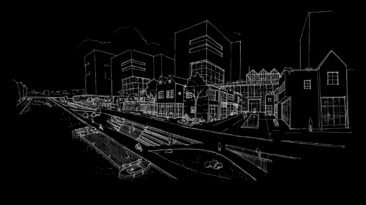 On the Goede Doelen Loterijen’s initiative, all 600 employees were asked to think about their wishes for the new building. The resulting wish list was quite literally checked off and applied, except if it would entail increasing costs. The neighborhood community was also involved in the design and wished for a restaurant that could also serve as a meeting place for neighborhood associations. This is the origin of the restaurant La Lotteria, run by The Colour Kitchen – a social enterprise that trains people with a disadvantage in the labor market. Visit www.thecolourkitchen.com for more information. 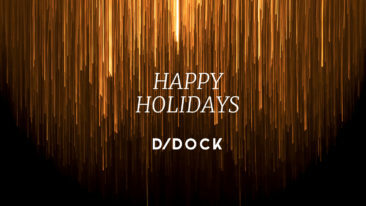 The walls and partitions, furniture, work units, cabinets and interior design of the atrium and restaurant – all specially designed by D/DOCK – contribute to the feeling of connection, but also to the experience and use of the entire interior with its invisible layers. These are the emotional and ritual layers that are not visible, but can still be felt. One of the Goede Doelen Loterijen’s most important wishes was that nothing would be thrown away and that all the furniture from the previous office buildings would be recycled. After all, every piece of furniture has a past and a story, which all contributes to a meaningful interior design. A good example of this can be seen in the staff restaurant where almost all chairs and tables, in their old state, have been given a new location. In addition, the other furniture was purchased by Yolanda Loudon via Marktplaats and second-hand furniture sellers. The chairs in the auditorium, for example, are from the famous church in Naarden. They have only been reupholstered. We paid a lot of attention to acoustics by using perforated sheets, tilted roof slats and acoustic panels made of recycled army uniforms in the phone booths and call centers. The entrance transformed into an open space: a warm welcome with organic shapes and lovely sitting areas. It also includes an introduction (with a nod) to the Goede Doelen Loterijen’s most important colors: yellow, green, orange and red. The entrance staircase now runs directly from the main entrance into the big open atrium and is therefore a strong connection to this common area. Through this open connection, a lot of sunlight shines into the reception area. In collaboration with Benthem Crouwel and the Goede Doelen Loterijen-team, we then created an atrium which feels like the atmospheric Mediterranean squares in cities. We gave the square a complete makeover by using natural materials and warm colors. The majestic terrace staircase is now the connecting factor. This staircase is the connection between all floors as well as the meeting point in the atrium. The staircase was designed as a metaphor for the previous location, on the Van Eeghenstraat, where the walk between the different buildings was always crowded and people would meet on the street. 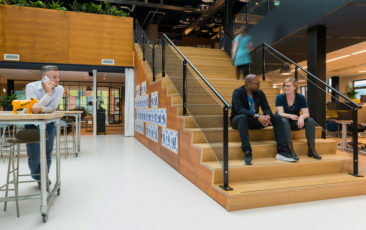 The staircase has literally and figuratively created a dynamic space that encourages co-creation among the building’s users: man as a sustainable factor. The meandering wall provides a ‘hot & cold zone’ on each floor. In the original design, the open spaces were directly connected to the hall, which would have led to a lot of noise pollution. The winding wall contributes to some peace and quiet on the workfloor and dynamics in the meeting places that border on the terraces. 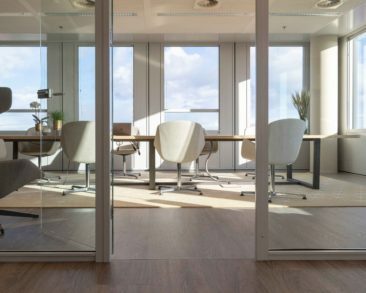 In addition, the division ensures a balance between working undisturbed in a reasonably open office area, and meeting and speaking with colleagues at the pantry, printer or informal meeting places. Use of circular materials in custom-made furniture like FSC-certified wood, composite materials (pantry sheets) and bamboo. Carpet tiles) as floor covering. Originally a wall-to-wall product that D/DOCK, in collaboration with Desso, developed into a removable and recyclable tile. C2C Silver Certificate modular wall systems from Plan Effect. All glue and varnish applied to custom furniture is based on natural ingredients. 0% VOC (Volatile Organic Compounds). For example, Rubio Monocoat was used on all oak floors and bamboo according to BREEAM instructions.